In 2002, when brands were in control and traditional marketing channels were the only channels, the founder of WindFarm Marketing, Josh Unfried (Un-freed) began his career in sales and marketing for a small tech startup on the tail end of the dot-com bust. As director of sales and marketing, Josh helped propel the start-up into one of INC 500’s Fastest Growing Companies in America two consecutive years. As innovation and the emergence of digital and social web technology sent the marketing industry into a state of disruption, Josh saw an opportunity to reach and provide value through these new channels to the largest and most powerful group of consumers in the world – moms. 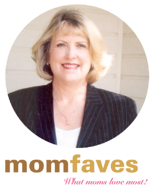 When Josh’s mother passed away from cancer in 2004, a desire to honor her life and empower all moms led to the development of MomFaves, a platform built to fuel mom word-of-mouth on the web by allowing moms to store, share, and discover their favorite things with each other. Before Facebook pages or Twitter ads (and prior to the Pinterest explosion), Josh and his wife built authentic connections and awareness with a broad audience of influential moms across the country and were successful at communicating the story and value of MomFaves using an integrated mix of these new channels and strategies. By 2009, business owners familiar with MomFaves began to reach out for help with their marketing strategy in an effort to keep up with the pace of change. Their businesses began to grow rapidly as the economy crashed and while returns on traditional marketing and advertising methods plummeted. As word spread in the local business community, Josh began consulting and training large groups of businesses and marketers on these new techniques. In 2010, The hackers who helped develop MomFaves invited Josh to join them for an opportunity of a lifetime to spend 3 months in Silicon Valley at the Y-Combinator startup accelerator program building a Twitter based business application. 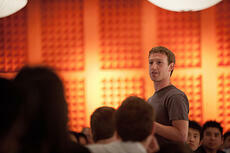 The experience exposed Josh to the hacker community, startup culture, and the minds responsible for building the technology that helped unleash the massive shift in marketing such as Mark Zuckerburg (CEO of Facebook) and Paul Buchheit (Creator of Gmail, first prototype of AdSense and Google’s now famous motto “Don’t be evil”). In 2010, Josh started WindFarm Marketing, Inc. to serve the growing marketing needs of its clients and to seize the opportunity of a new kind of marketing agency focused on outcomes, not outputs. WindFarm has developed a reputation within the marketing community for the success and ROI of its integrated marketing campaigns along with their unique approach to growth online. The focus on results and inbound marketing continue to attract the investment of CEO’s, CMO’s, and Marketing Directors looking to do more with their marketing dollar. WindFarm’s Team of tech-savvy, social hackers and hybrid-marketers continues to grow and thrive as they take their clients’ brand and online presence to the next level. 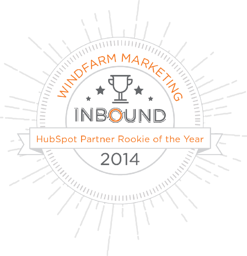 Hubspot, Inc. announced WindFarm Marketing was awarded the Hubspot Partner Rookie Of The Year award for 2014. Every year Hubspot recognizes a select group of Partner agencies who have excelled in driving success through their inbound efforts. WindFarm became a Certified Hubspot Partner in 2013 and was recognized among Hubspot's newest partners for its growth as an agency in delivering inbound marketing programs.